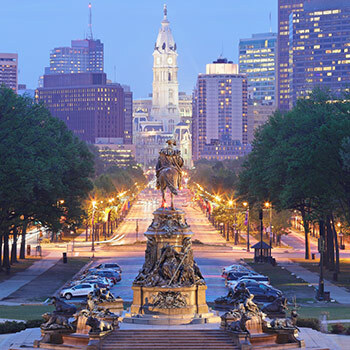 The Society of Nuclear Medicine and Molecular Imaging (SNMMI) 2018 Annual Meeting will be held at the Pennsylvania Convention Center in historic Philadelphia, Pennsylvania from June 23 through June 26. Join the over 5,000 leading nuclear medicine and molecular imaging professionals, including physicians, radiologists, cardiologists, pharmacists, scientists, and lab professionals, who will visit the City of Brotherly Love to experience the world’s premiere scientific, educational, research, and networking event. This year’s conference was condensed to four days, but it certainly doesn’t skimp on content. Choose among more than 195 accredited CE and scientific sessions, 800+ scientific posters, and countless networking events. You’ll also have the opportunity to connect with over 170 trendsetting companies–the ones responsible for driving change in our industry–in the world-class Exhibit Hall. Take time to engage with industry experts, explore the latest emerging technology, and learn about the innovative new products and services that will help you stay ahead of the curve. While you’re there, be sure to visit Digirad at Booth #657. We’ll be proudly exhibiting our QuantumCam, X-ACT+, and Ergo™ Imaging Systems. Stop by and see us!